LONDON -- Ford Motor has initiated labor talks to cut costs at a UK engine plant where more than 1,100 jobs are at risk, as the carmaker grapples with the aftermath of Brexit and slowing growth in Europe. "Brexit is clearly a factor here," Len McCluskey, general secretary of Unite, Britain's biggest trade union, said in a statement about Ford's plant in Bridgend in south Wales. "The focus now has to be saving these jobs." The factory is producing enough engines to guarantee current employment levels for two to three years, but reductions may be necessary after that if the plant fails to boost efficiency, Tim Holmes, a spokesman for Ford of Britain, said in an email. No job cuts are planned at the moment, and the company reviewing its staffing beyond 2020 "is not an unusual cycle in our business." Ford is the latest carmaker to flag concerns about the outlook for its presence in the UK, as anxiety over tariffs on imported cars and parts deepen amid Brexit negotiations. Manufacturers including Ford rely on moving components freely between mainland Europe and the UK. Rivals Nissan Motor Co. and Jaguar Land Rover have called on the government to provide financial support for auto suppliers to guarantee the sector's competitiveness after the UK leaves the European Union. Ralf Speth, Jaguar Land Rover's CEO, said Wednesday he would welcome government assistance to lure car-parts makers to Britain, such as the 100 million pounds ($123 million) Nissan this week recommended parliament spend. "The closer the supply chain, the more beneficial it would be," Speth said. 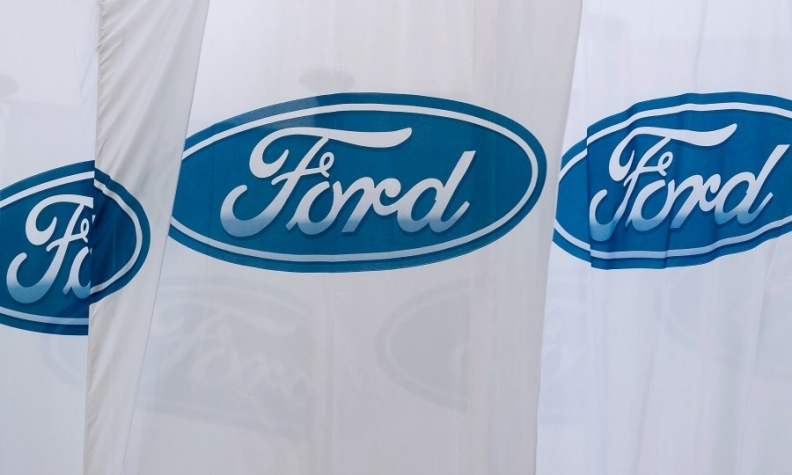 With the European car market growth stalling, Ford is seeking ways to lower costs at its UK operations as the company forecasts declining demand for its gasoline engines from 2020. The manufacturer has said it'll invest 100 million pounds to make a new series of fuel-efficient engines at the site starting in late 2018. Beyond that, the plant must ensure its competitiveness, Holmes said in the statement. Prime Minister Theresa May told parliament Wednesday that she's in "regular dialogue" with Ford about how the government can help maintain the company's "success" in the country. May is already in talks with PSA Group and General Motors Co. over the future of GM's British factories, as PSA prepares to buy the U.S. automaker's Opel unit. Bridgend has already survived a series of cuts by Ford as it's restructured European operations. The company scaled back production in the UK and Belgium four years ago to stem financial losses in the region. Statements by Ford and Unite followed meetings by union members and company executives on Wednesday to discuss the plant's future.